There’s a chill in the air and jackets everywhere! 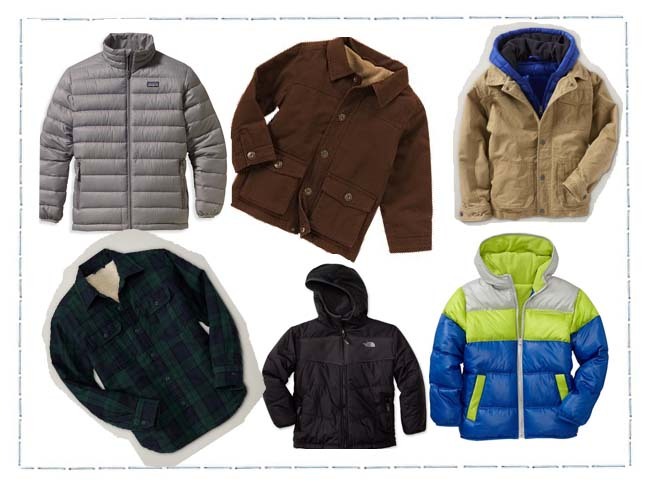 Show your son what a cool mom you are this year and pick one of these must-have winter jackets — and coats — for your son’s cool weather wardrobe. 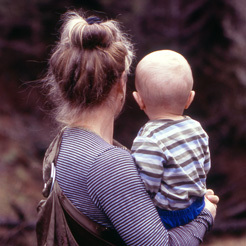 Plaids, twill, puffers and colors are “in” this season and are sure to look good on anyone. The ultra-light Patagonia Down Sweater jacket ($99) is high fashion, high warmth and low weight. This winter must-have is weather and wind-proof and provides coverage in all the right places. 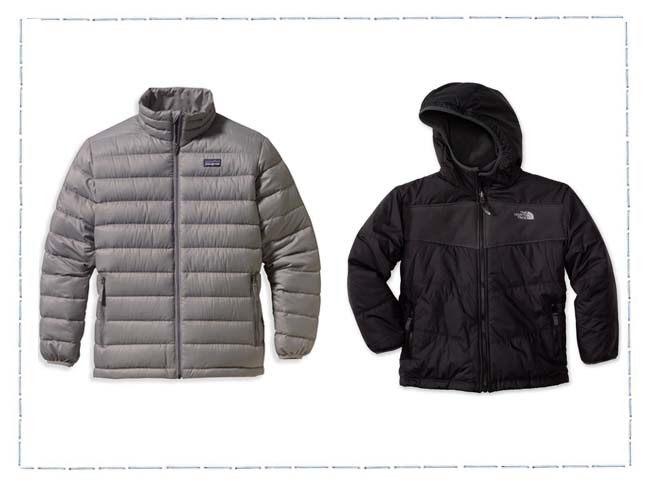 The North Face True/False Reversible jacket ($89) reverses to a soft fleece to fight all the cold weather elements. Click through to see more cool coats for cool weather! 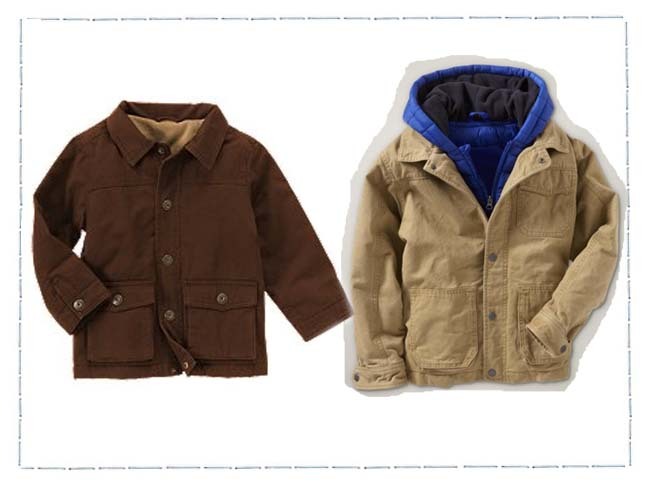 The Barn Jacket (sale $22.49) is a casual jacket with a microfleece lining for added warmth and style. The Gap Twill and Puffer Hooded jacket ($68) has a great twill outer layer with a warm and fun quilted lining. It’s two favorite pieces in one! This Sherpa-Lined Flannel shirt ($39.99) is more than just a shirt, it’s more like a coat mixed with a flannel dress shirt mixed with a cozy jacket — and it’s super cool. 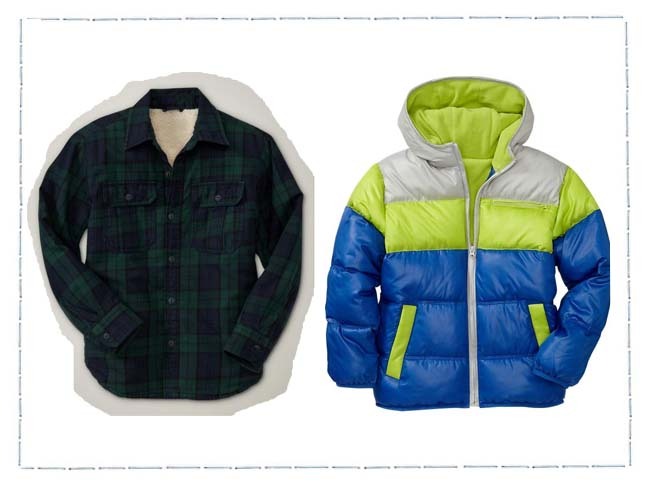 The Color Front Frost-Free Jacket (sale $29.50) adds some pop, wow and color into your son’s winter wardrobe. He won’t get cold in this awesome winter jacket.